The visual language here says horse thieves or possibly…. The cm5 has put in the time. We’re an august enough organization now able to say “welcome back” to these three masters of their disciplines. Drummer Hamid Drake has made the trip half way down the peninsula of this standup comic’s dream target twice. In the 1990’s, the D in Chicago’s DKV Trio helped the group possibly play the key role in carving a touring route that knitted the out jazz and indie rock worlds into aesthetic sister cities. Bassist William Parker dodged a hurricane bouncing up the Eastern Seaboard as well as a slippery arts presenter in order to reach Florida with the Other Dimensions In Music quartet. You may well have witnessed Peter Brötzmann evoke a heavy machine operator meets trance-inducer in his visit with Joe McPhee a year back. 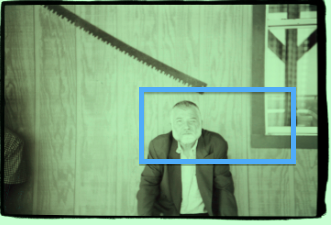 You can make some connections between Peter Brötzmann’s visual arts pedigree and his later developing musical career. The reed player’s still-produced paintings have strong emphasis on color, texture and shape, opposed to detailed replication of extant imagery. That’s a fair jumping off point for Brötzmann’s playing on soprano, alto, tenor, baritone and bass saxophones, a-clarinet, e-flat clarinet; bass clarinet and tarogato. The same departure point can apply to his compositional styles, never tracking very close to the American jazz musicians- including The New Thing pioneers- that provided the original impetus. The wind musician has developed and applied another pan-ecstatic, ritual music frame appending to his American predecessors and contemporaries, which were first strongly rooted in the blues form, eventually supplanted by pan-African and Far Eastern forms. Like many of his contemporaries, the America free music was suffused with the music and teachings of Karlheinz Stockhausen and John Cage. By the mid-1960’s, Brötzmann had toured with the world-traveling Don Cherry and returned to Germany to define the ground floor gestures of the countries’ new jazz scene. Bassist (1990’s cm5 concertizer) Peter Kowald, pianist Alex Von Schlippenbach, trumpeter Manfred Schoof, and drummer Sven-Ake Johannson. Aggregates of these players resulted in Brötzmann’s entry into DIY record making via 1967’s For Adolfe Sax and 1968’s iconic, rumbling freedom of Machine Gun. A long-standing trio of pianist Fred Van Hove and drummer Han Bennink- both previous cm5 guests- could be sourced via Berlin resident Jost Gebers’ Free Music Production (FMP) label. In addition to this trio, Brötzmann has been involved in a number of iconic outfits. The saxophonist was one surface of the gritty, diamond-hard electric jazz quartet Last Exit, with guitarist Sonny Sharrock, electric bassist Bill Laswell and drummer Ronald Shannon Jackson. Percussionist Hamid Drake has built a reputation in the avant jazz community by bringing in language from African, Afro-Cuban and Caribbean music. Base Drake’s cool-as-a-fan demeanor on exhibiting an open feeling percussion concept where still-developing players might default to brawn and pugilism. A sideshow at a Drake-helmed concert is to watch the other drummers in the room watch Drake work. A family move from Louisiana to Chicago in the 1970’s put the drummer squarely in the world of the storied Association For The Advancement Of Creative Musicians (AACM) once Drake took lessons from the son of AACM stalwart Fred Anderson. Drake took on percussion roles with Anderson, trombonist George Lewis and other AACM groups. 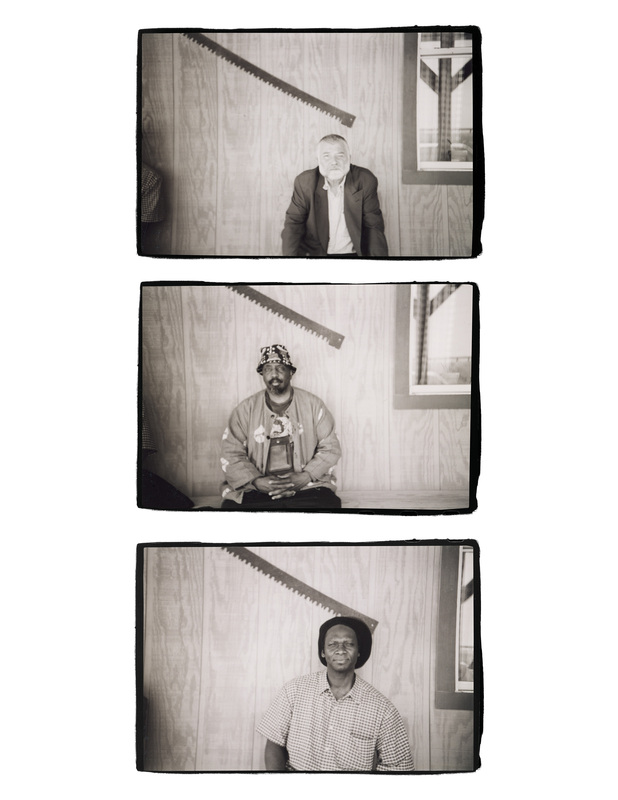 Hamid Drake built a healthy pedigree as a back line member in the emerging World Music community playing with globe traveler Don Cherry, the funky trance of Moroccan Gnawa master Mahmoud Gania and Gambian kora star Foday Musa Soso. Drake’s DKV Trio work with Ken Vandermark and Kent Kessler, as well as his long association in William Parker’s Quartet and Orchestra put him on the road extensively in Europe and North America. The well-documented fusion of the Chicago-centered fusion with German and Scandinavian improvisers put the percussionist square into Peter Brötzmann Chicago Octet/Tentet sphere and various other Brötzmann aggregates. The late, legendary Sam Rivers often commented that the free/energy/Loft jazz continuum of the 1960’s and 1970’s wasn’t a destination, but an open highway to an indeterminate, expanding musical future. 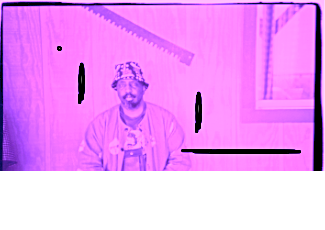 William Parker is a primary exemplar of a musician who witnessed and performed music during the halcyon days of New York’s Loft Jazz scene, then continuing on to be an additive sum creator. Parker played in Rivers’ live/work Studio Rivbea, Ali’s Alley, Studio We and the pre-CBGBs Hilly’s On The Bowery early on, working with a substantial checklist of that subculture’s leaders. Parker can count Sunny Murray, Charles Tyler, Billy Higgins, Charles Brackeen, Alan Silva, Frank Wright, Billy Bang, Frank Lowe, Rashid Ali, Donald Ayler, Sonny Simmons, Jeanne Lee, Gunter Hampel, Karl Berger, Dave Burrell, Jimmy Lyons and Milford Graves as kindred mates. 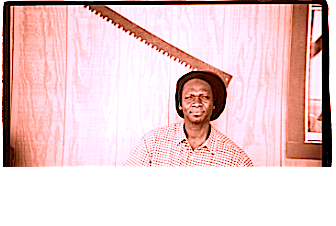 Parker broadly expanded his international reputation as the bassist in the Cecil Taylor Unit between 1980 and 1991. Parker has an extensive pedigree with the various European schools of improvisation and post-free jazz composition via Peter Kowald, Han Bennink, Tony Oxley, Derek Bailey, John Tchicai, Louis Sclavis, Conny Bauer, Hannes Bauer, and Louis Moholo. Parker’s concepts continue to be wide open. He also performs on tuba, shakuhachi, double reeds, donson ngoni and gembri. He has elaborated on tuning and handling the double bass as a trap drum kit, founding more than a dozen groups, including The Curtis Mayfield Project and The Little Huey Creative Music Orchestra. Buy a ticket to a major cultural event of the year and take part in the Timucua instant arts community created at each event by appearing willing – described by composer Anthony Braxton as the “friendly experiencer.” Timucua encourages a small plate dish and a bottle of wine for community distribution. We’ll see you there. Tags: Civic Minded 5, cm5, Die Like A Dog, DKV Trio, Hamid Drake, Peter Brötzmann, Timucua Arts Foundation, Timucua white house, William Parker. Bookmark the permalink.